It’s been a while since our last post but that doesn’t mean we’ve not been busy! In fact i think we have cleaned out just as many gutters this spring and early summer as we did in the winter. Below we have some pictures of last weeks gutter cleaning in Buxton with an example of how we can clean gutters that have a conservatory below.If you have ever tried to clean these using a ladder you will know it’s almost impossible to get debris from the middle bit right above the conservatory, however, with the gutter vac this does not present a problem, as you can see. 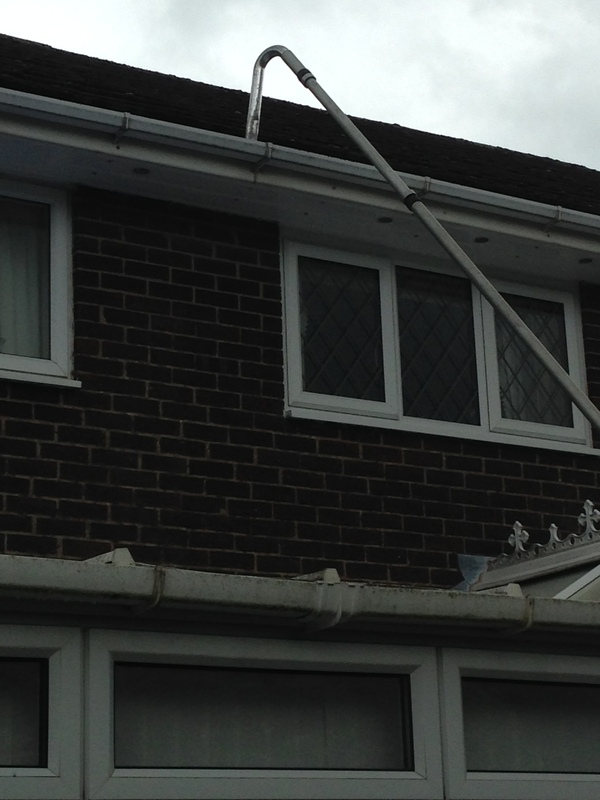 Therefore please give us a call for all your gutter cleaning needs in Buxton.